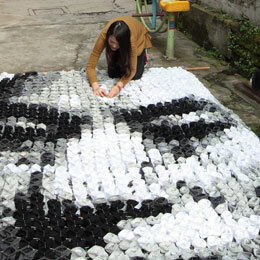 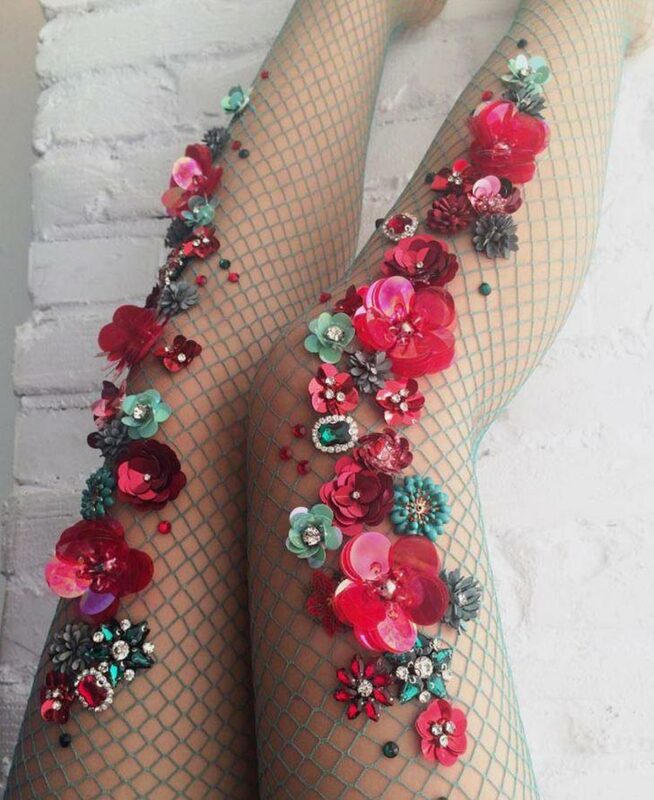 Fishnet stockings are the main canvas for Kosovo native Lirika Matoshi. 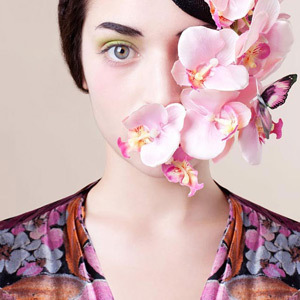 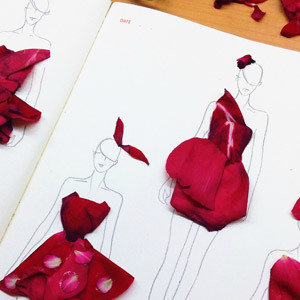 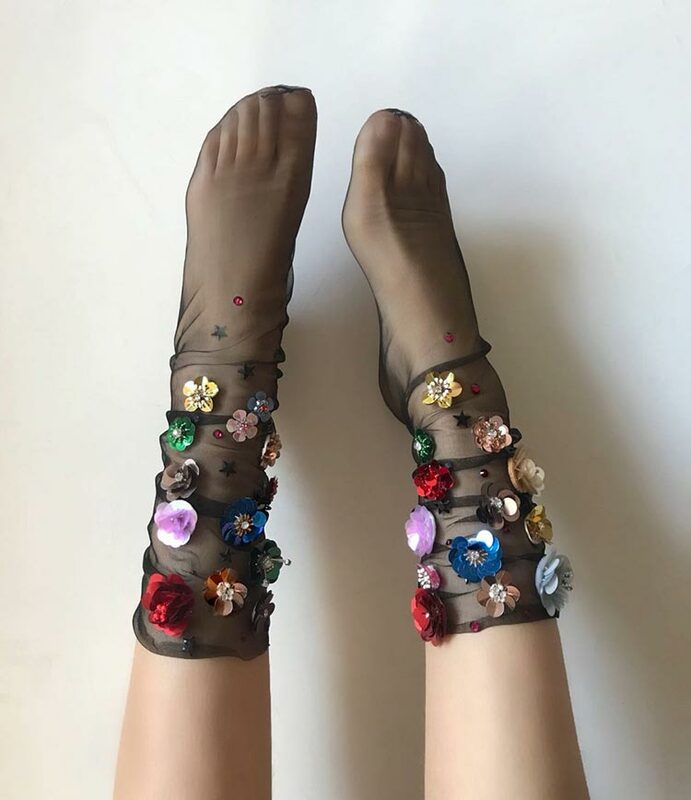 The fashion designer carefully adorns them with shiny gems, floral ornaments and glittery stars in all shapes and colours. 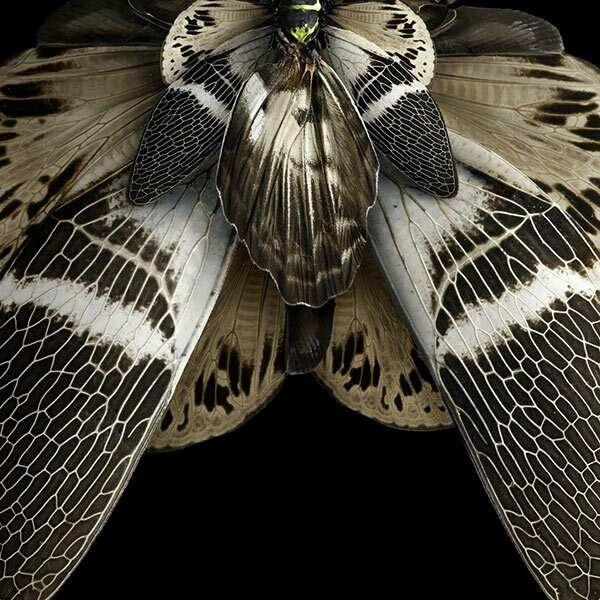 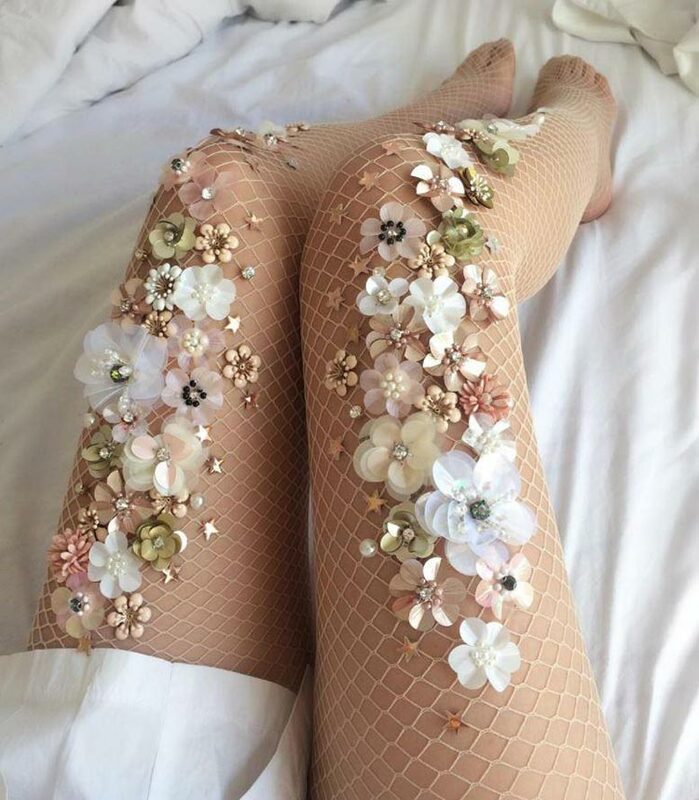 The result is as beautiful as unexpected, with intricate floral patterns harmoniously spreading along the delicate diamond-shaped material. 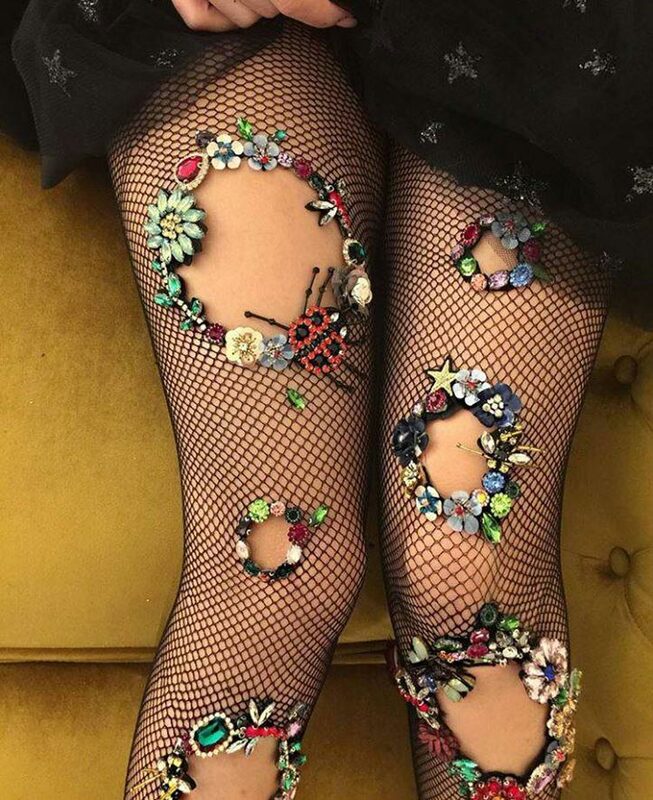 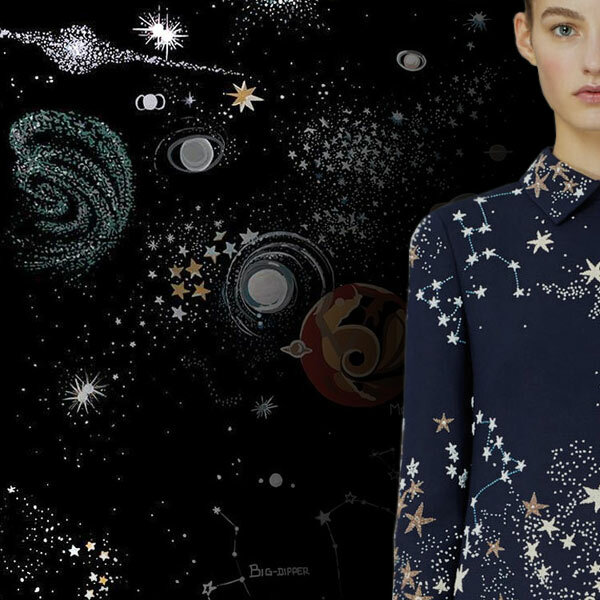 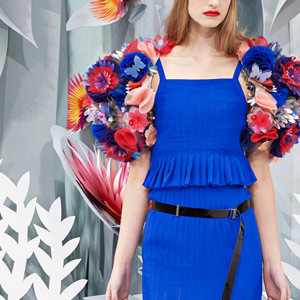 Other pieces are carefully ripped and embellished along the edges of the holes with an array of coloured gems, flowers, stars and sparkling insects. 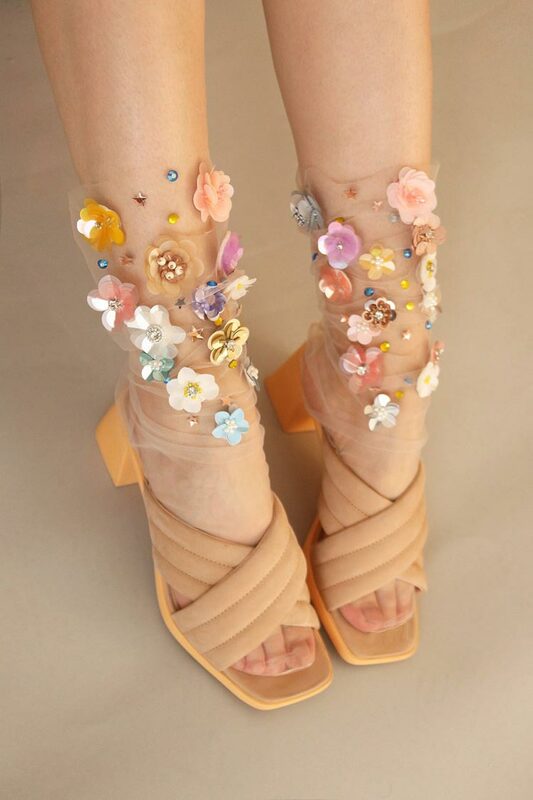 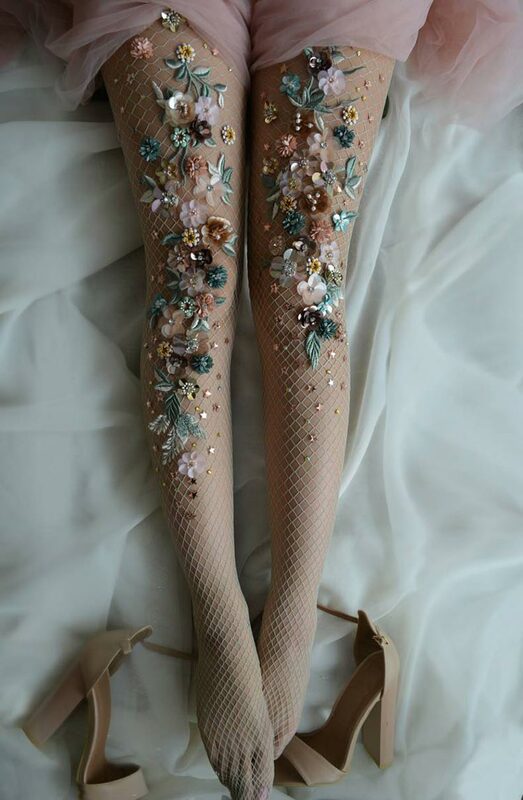 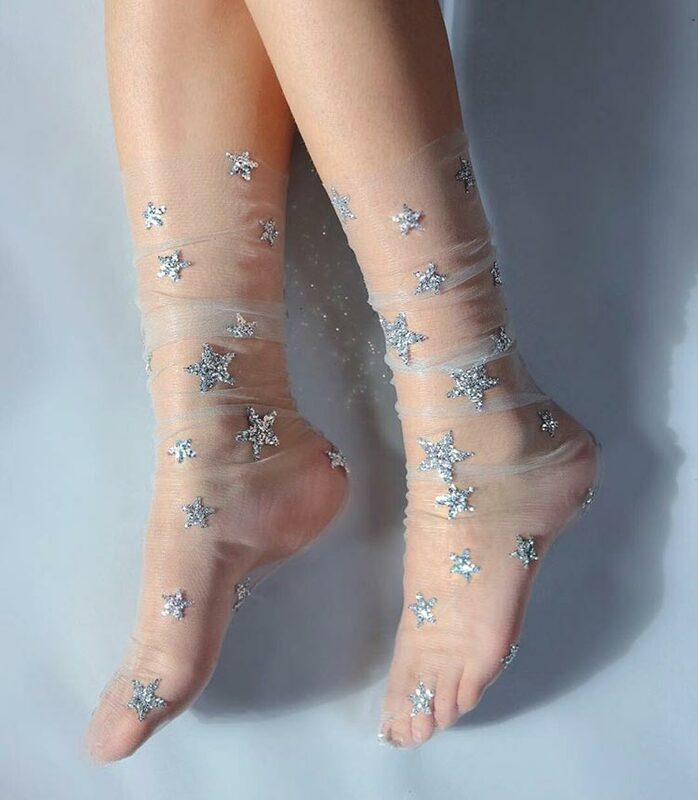 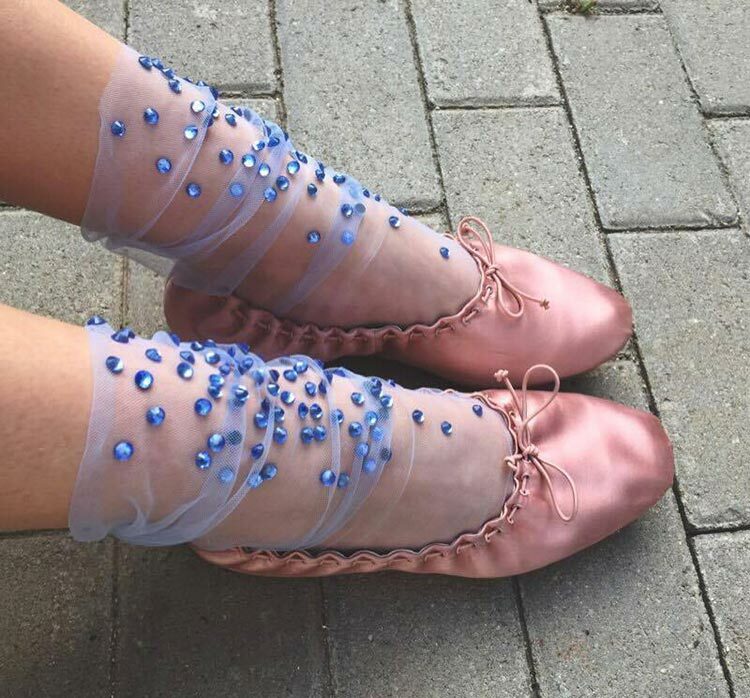 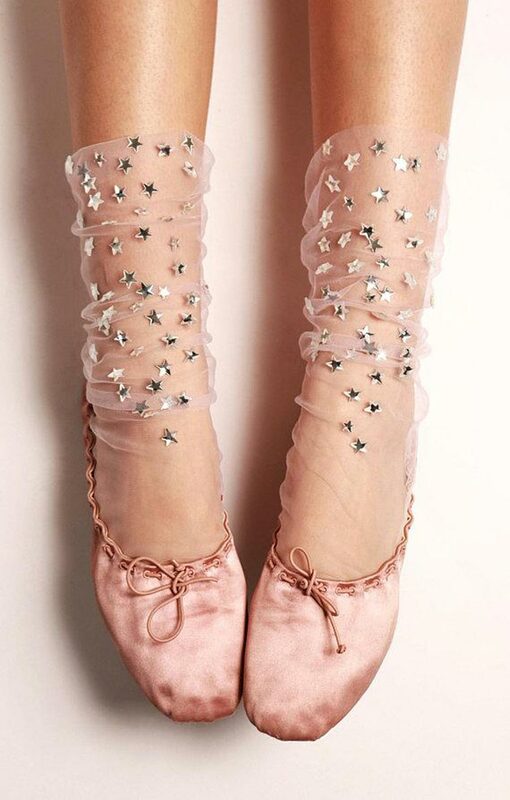 Tulle socks are also adorned with shimmering stars and flowers to achieve a very unique look.